Candidate for the 2019 presidential candidate, Omoyele Sowore, has emerged the winner of a mock election conducted by Nigerians in diaspora. Nigerians in diaspora, under the umbrella of Hungary-based European Coalition for Security and Democracy in Nigeria (ECSDN) overwhelmingly voted for the candidate of the African Action Congress (AAC) in an online presidential election conducted on Thursday, November 1, 2018. The election took place live on ECSDN’s YouTube channel, Nelson M46664, with voters, who were expected to be subscribed to the channel, commenting with the names of their preferred candidates. It’s unclear how ECSDN determined how commenters were Nigerians based in the diaspora or not. In the results announced after the election that was conducted for 90 minutes, Sowore won with 81.3% of the total votes cast, with candidate of the Alliance for New Nigeria (ANN), Fela Durotoye, coming a distant second with 8.5% of the votes. Incumbent president, Muhammadu Buhari, of the All Progressives Congress (APC) might be considered a favourite for the main poll next year, but he only won 1% of the votes cast in the diaspora election. Former Vice President, Atiku Abubakar, of the People’s Democratic Party (PDP), another frontrunner, fared better with 2.8% of the votes. Former deputy governor of the Central Bank of Nigeria (CBN), Kingsley Moghalu, of the Young Progressive Party (YPP) came third with 3.2% of the votes, while David Esosa Ize-Iyamu of the Better Nigeria Progressive Party (BNPP) won 1.2% of the votes. Former Cross River State governor, Donald Duke, of the Social Democratic Party (SDP), and former Minister of Education, Oby Ezekwesili of the Allied Congress Party of Nigeria (ACPN) both acquired 1% each. The ECSDN noted that all other candidates scored below 1% of the votes. The Director General of the TakeItBack Movement/Sowore 2019 Campaign and Deptuy National Chairman (Administration) of AAC, Dr Malcolm Fabiyi, described Sowore’s victory as proof that Nigerians want a departure from the old order of politicians and are desperate to vote for someone who can chart a better future for the nation. 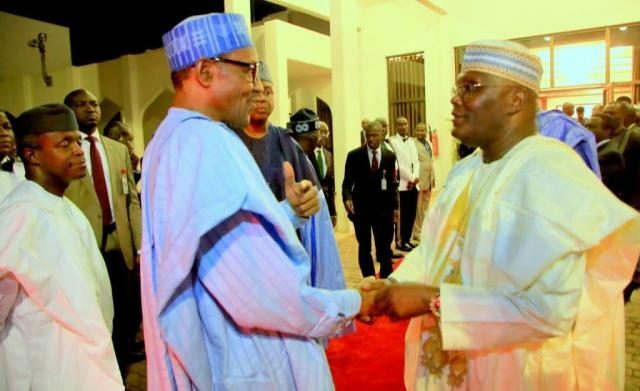 Despite the result of the election, the 2019 presidential election is expected to be keenly-contested between Buhari and Atiku. 79 candidates will contest in the election, the highest number ever in Nigeria’s electoral history.